Buyer Representation: What sets us apart? 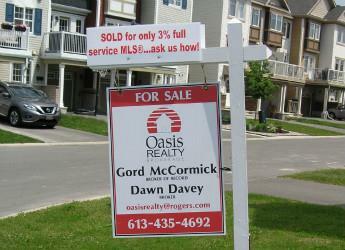 -no high pressure “closing” tactics…we don’t “sell” you a home…we help you buy a home! -boutique level service means less chance of things “falling through the cracks”. You deal with us and no one else. -we set up an automated search for buyers, so they get new listings immediately as they are published on the REALTOR® MLS® system and 24 hours before they appear on the public MLS® sites. -we arrange for visits to appropriate properties that a buyer is interested in and attend those showings with the buyers. These can be properties listed on MLS® or any For sale by owner site or classified ad in print or online. -we alert buyers to any and all concerns/issues relating to current and future market value and maintenance costs. We try to give you all the pros and cons of a particular property, not just the features. We always analyze a home and say to ourselves: “what if this buyer came to us in 2 or 3 years and wanted us to sell the home? What issues and concerns would we have as their listing agent and how easy or difficult would it be to market the property? i.e. If we wouldn’t want to be selling it for you in the future, then we should be also telling you the negative aspects or property limitations now. -we typically visit a property being purchased with the buyers a few days before closing, to ensure that all is still in good order and the property in the same condition as it was on the day the agreement was signed. In summary, we try to approach every buyer situation, as we would if it was a member of our family that was making a purchase or if we were making the purchase ourselves. We are low key and consultative and not high pressure sales focused. We are more interested in quality of transactions than quantity of transactions. Buyer searches can take as little as 2 or 3 weeks or they may take many months, depending on the buyer circumstances. If this sounds like the type of buyer representation philosophy and service that makes sense to you, we would love to hear from you.